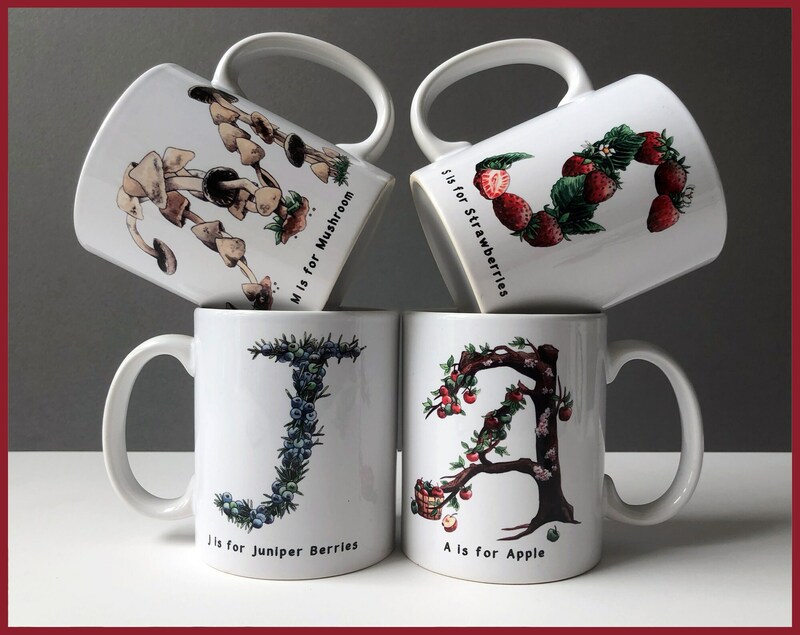 Personalise your living or workspace with these beautifully illustrated, hand-printed ceramic mugs. 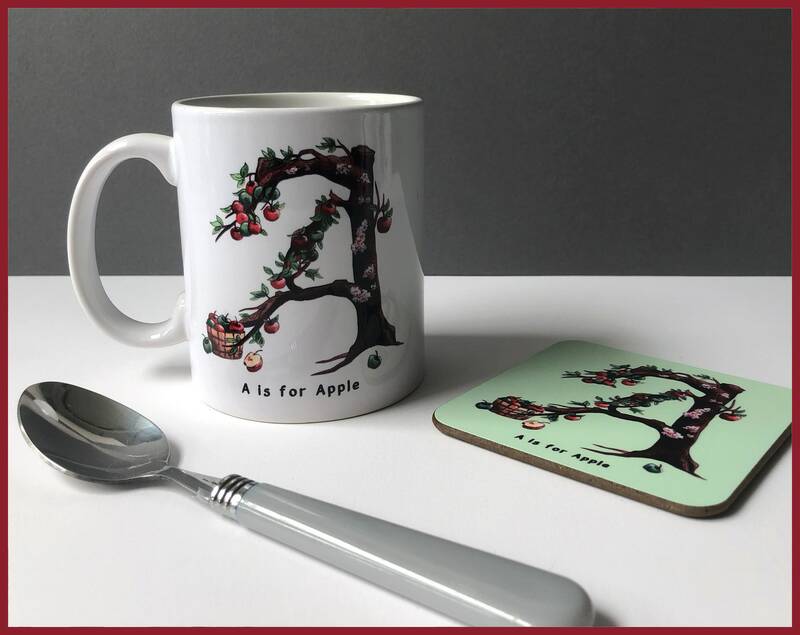 Created from my original hand-drawn, fruit and vegetable inspired letters, these mugs make unique gifts for foodies, keen cooks or anyone pursuing a healthy, plant based lifestyle. 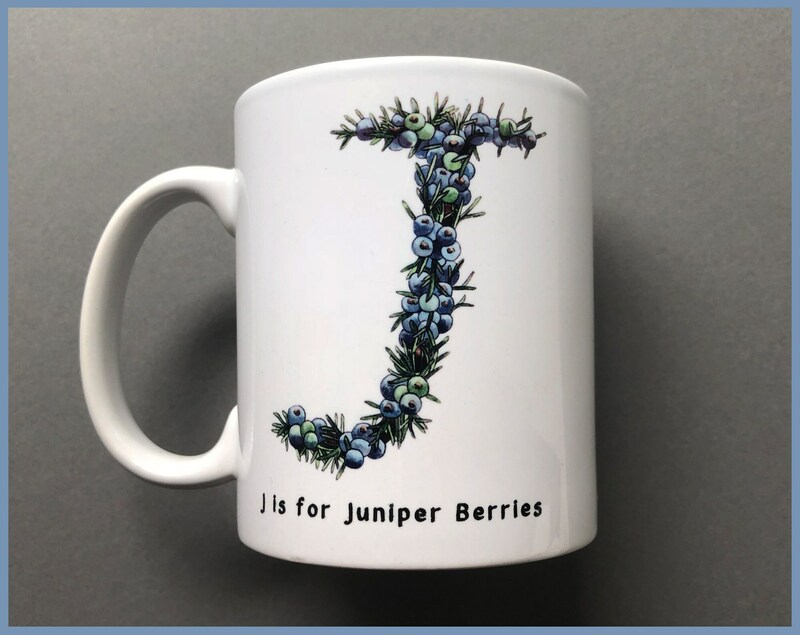 There will be no more arguments around the breakfast table about 'whose mug is whose' as every member of the family can now have their own, beautifully illustrated initial. 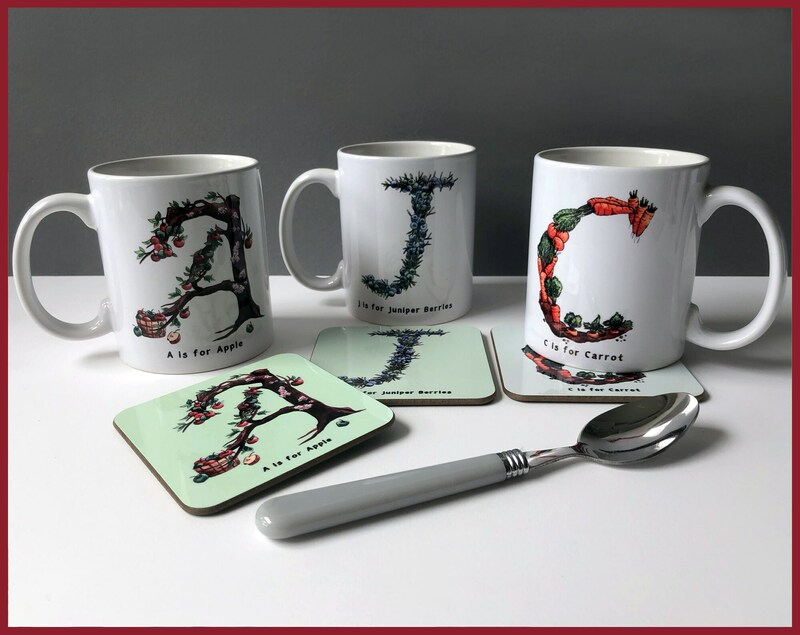 Why not spell out the family surname on the mug rack or buy a set of four alphabet mugs for the office. The possibilities really are endless! Simply write a note when checking out listing which letters you would like to receive, & symbols can also be included. 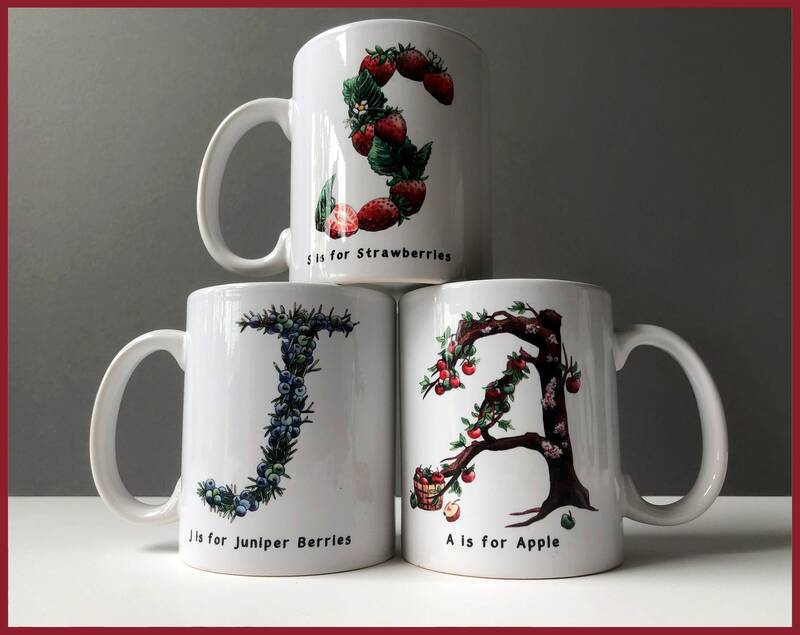 This is a special bundle deal, ordering the mugs individually would work out at £39.96. 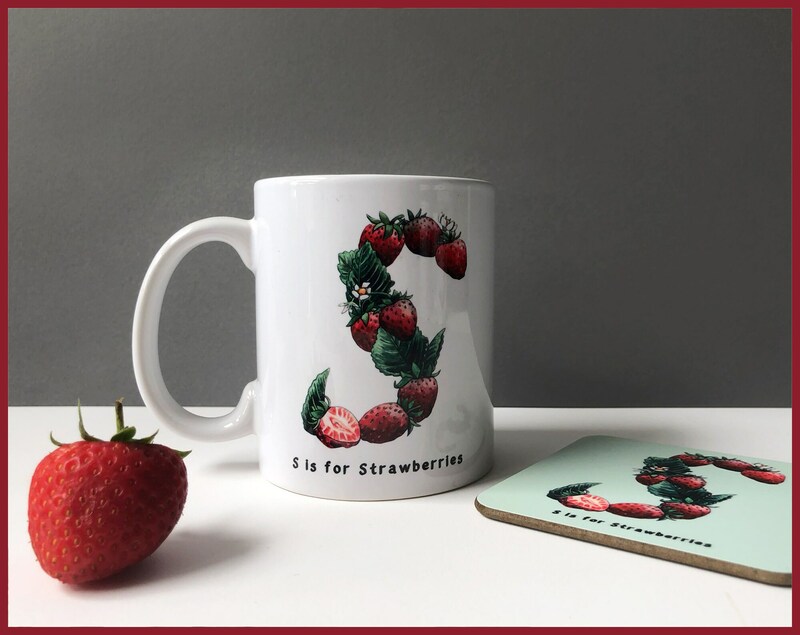 Each mug is printed individually, by hand, onto a bright white, premium quality 11oz mug. 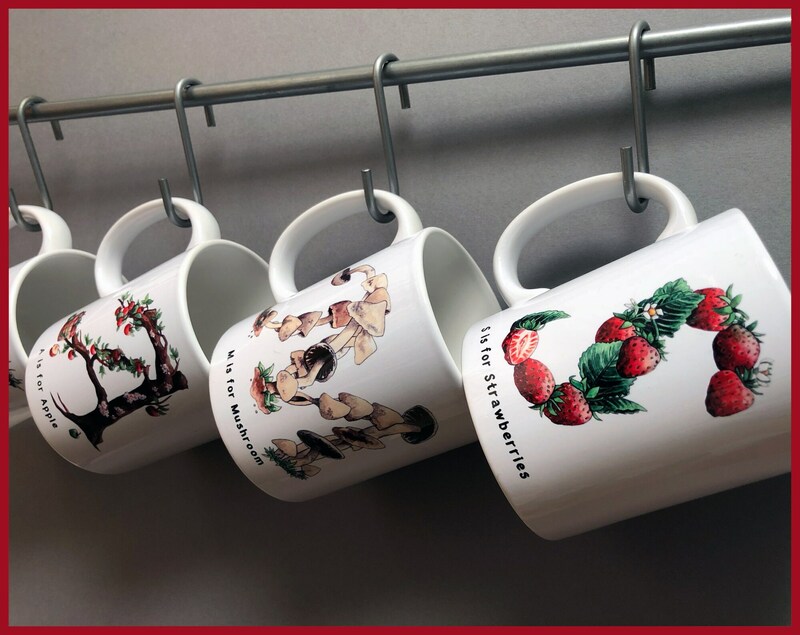 Each mug has a high gloss finish resulting in a design that has both vibrant colours, and fantastic detail that lasts. 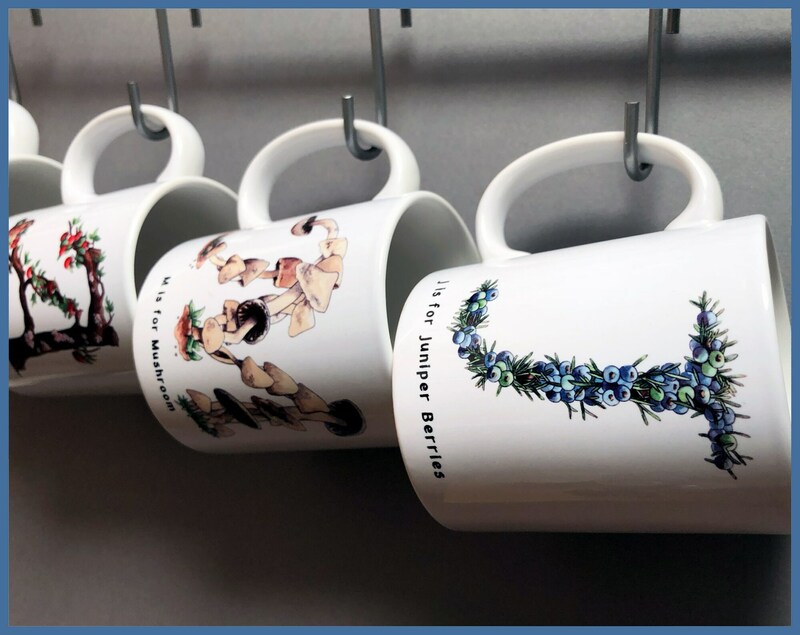 Mugs are both microwave safe and dishwasher proof and are shipped inside strong, smash resistant mailing boxes.